It takes a village to raise a family, well it also takes a village to showcase our passion. 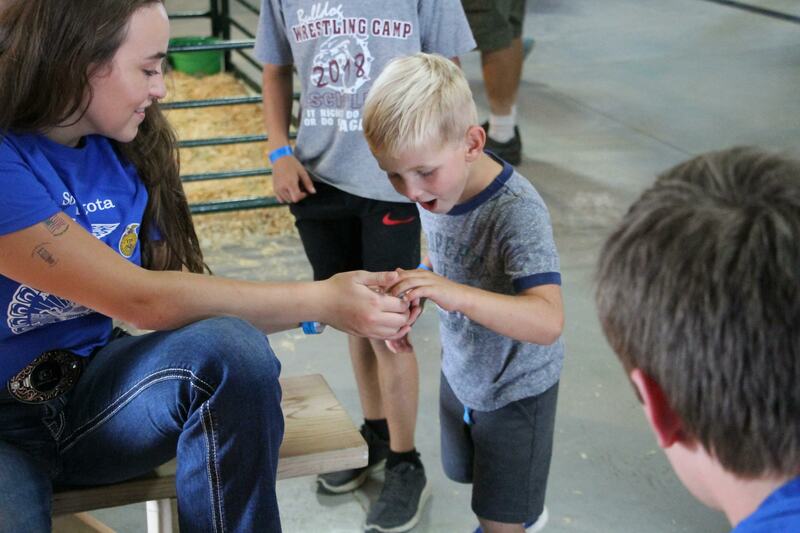 We had a great crew of Pipestone staff and volunteers at county and State fairs sharing their passion in 2018! This year it was 49 days of transparency, where Pipestone pigs and people met visitors at the “farm gate”. We had great discussions about sustainability, tariffs, markets, hormones, antibiotics, and even how babies are born and where they come from. Big Shout Out to the enthusiastic volunteers at each event, we couldn’t have done it without you! Sows were not the only mothers showcasing the miracle of birth, we had four calves born and 56 chicks hatched at the Sioux Empire Pipestone Discovery Barn. 60 hens also clucked out eggs every day as visitors learned about hen housing and egg production. “What’s the difference between white and brown eggs?” . . . about 60 cents! 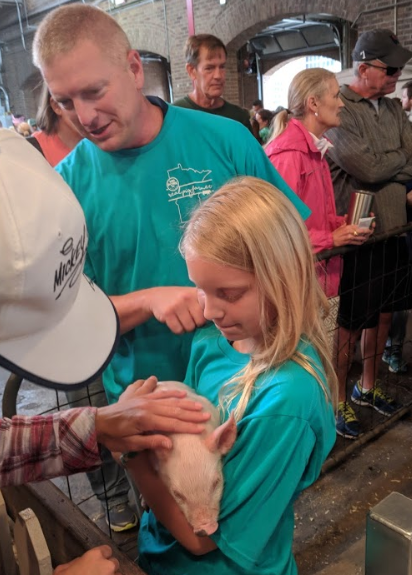 We hosted a fun learning experience at each fair, including milking demonstrations, combine simulation, egg toss competition and of course BACON eating contest, which Farmer of the Year, Brad Greenway participated in. It takes a lot of planning, prepping, loading, washing, hauling, building, and design, but we wouldn’t want it any other way. It’s our PASSION. It’s our commitment to agriculture, animals and its people. Thanks to everyone who participated and volunteered to share their PASSION with our 49 days of transparency. We are looking forward to the 2019 season and other opportunities throughout the year. ‹ African Swine Fever in China: What is the Role of Feed Ingredients in Viral Movement?